Back in 1981 Cats re-wrote the rule book of musical theatre. Not just for being the first show immediately recognisable by an image that was to become an iconic brand (those flaming cats eyes with their dancers for pupils - shrewd work, producer Cameron Mackintosh), but for being one of the first through-danced musicals, a concept never before tackled in England. Cats' plot (if there is one) is implausible. Rather, it took the genius vision of a young Lloyd Webber to set this quirky anthology of Eliot verse to music. The rest is theatre history as the show went on to smash box-office records on both sides of the Atlantic. That Cats in 2015 works at all is down to the show's (now pensioner) creatives and an exceptional cast. Disbelief is quickly suspended and in a production that eschews masks and puppets, the feline transformation is achieved solely through the human skills of the companys' voices, movement and facial expression. At all times the audience can see that these are just people, albeit gloriously costumed and made up, but people nonetheless who with catlike tread and stunning choreography achieve a fabulous illusion. Eliot's words are marvellously crafted. They truly don't write 'em like that anymore and his 1930's gems are just steeped in Bloomsbury and a time when trains had First and Third Class carriages, a magical glimpse into an England past. No other writer other than perhaps Matilda's Tim Minchin displays the maverick and eccentric yet profoundly perceptive wit that Eliot masters. Andrew Lloyd Webber's score, played under the experienced baton of Anthony Gabriele and ranging from the haunting minor key harmonics of the Jellicles’ motif, through to the torch-song triumph that is Memory, has evolved into a modern classic. But Cats, then and forever, has always been about the actors. As well as some fresh young talent, many feline-hardened veterans from the show’s various former and touring productions have been press ganged into service at the Palladium. Excellence is everywhere, but particularly memorable amongst the cattery are Benjamin Yates’ Mungojerrie, who delivers impossible athleticism with an almost Russell Brand styled insouciance whilst Joseph Poulton’s Mistoffeles and Ross Finnie’s Skimbleshanks are both visual delights. (That junk-yard train gets me every time.) 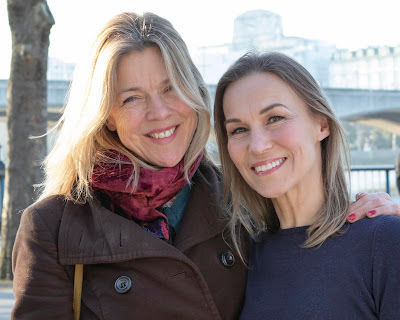 A nod too to Callum Train’s Munkustrap who virtually MC’s the show with a breathtaking agility and of course few West End musicals are complete these days without a Strallen. Zizi’s Demeter duly and demurely delivers. It is however Kerry Ellis’ name that tops the bill at the London Palladium and with good reason. 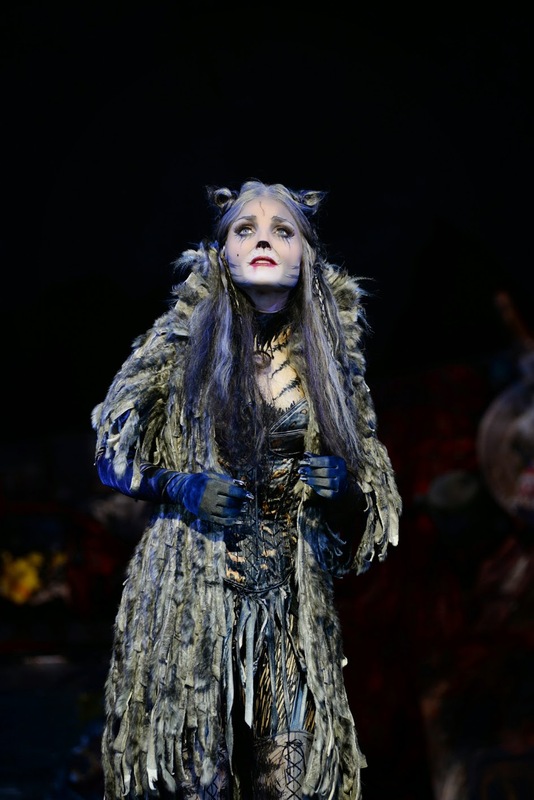 Her poise as faded galmour-puss Grizabella is as poignant as it is perfect. Where the rest of the cast are shod in dance shoes Ellis, fur all mangy, is forced to totter around the stage in impossibly tawdry heels, defining Grizabella's tragedy in poise and presence. And then she sings. On its own, Memory is one of Lloyd Webber’s biggest selling singles and much like Grizabella herself, it’s a tart of a song that everyone over the last thirty years as had a piece of. The audience knows it, loves it and their expectations as Ellis, along with Natasha Mould’s Jemima tackles the opening bars, are sky high. Ellis doesn’t just meet those expectations however – she smashes them. And as her Grizabella desperately pleads for affection with the shockingly simple words “Touch me”, this queen of London’s musical theatre quite simply takes the Palladium’s roof off. The moment is electrifying and unforgettable. It has been far too long since the West End was last treated to an 11 o’clock number of such jaw-dropping magnificence. There is no more to add. As world class musical theatre Cats, with Kerry Ellis, is un-missable.